It's that time of year again! Time to do a little back to school shopping (2 for them, one for me..wait, is it just me who shops like this?) , and fill your closet with some great fall finds as well. What better way to do so then with an $80 gift card to Forever 21? You can get quite a few items for $80 at that store, got to love a great price point. 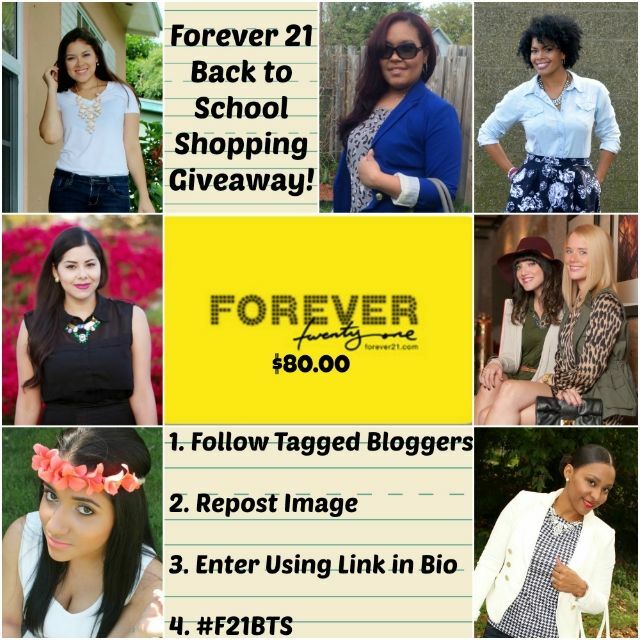 My other blog, Sisters Marie, has teamed up with 6 other amazing bloggers to give you a chance to win some free clothes. So what are you waiting for? Giveaway open through Sept. 18th! Good luck!